We operate in the beautiful district of Enfield Wash. Our firm belief is that by providing top quality professional removal services to anyone who needs them in the area, we contribute to the overall well-being of the community. If you want to make your life a lot easier and free of any hassle or stress that relocating your home or office might cause, we are definitely the right people to turn to. Our drivers and movers in Enfield Wash are the best trained and experienced removal professionals who currently operate in the district and the surrounding areas. They use very efficient methods that enable them to finish any job, no matter how big or how small it is, in a timely fashion and very satisfactory results. What is more, we offer full insurance liability, so the safety of your items is guaranteed at one hundred percent while they are handled by us. Carefully plan every step of your project and come up with the most comprehensive solution to it. Pack your items using high quality packing materials and load them on one of our clean vans. Our fleet of vehicles is truly state of the art, and our licensed technicians and helpers will do all the heavy lifting for you. When it comes to removals Enfield Wash is definitely not serviced by another company that can carry out the move in such a swift and precise manner. We will transport your items to the newly assigned location, unload and unpack everything in no more than a day, no matter how big the project is. The best part is that our removal services covering the territory of Enfield Wash come on pretty competitive prices that will be considered in accordance to the specs of the job and your personal needs. We guarantee that we are going to cover all your requirements and personal preferences on the best price imaginable. Just give us a call today in order to book our services and request a free no obligation quote we will be happy to provide you with in advance, even before you have decided to hire us for sure. EN3 Enfield Wash is a residential development in the namesake borough in north London. Enfield Wash is a very comfortable district, with both new and old housing developments and great many open green spaces that add up to the charm and comfort of the area. The London Outer Orbital Path follows Turkey Brook on the territory of Enfield Wash, and for that reason the district is often visited by tourist who love going out for a walk in nature in their spare time. 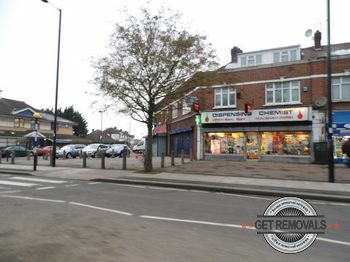 Setting up your home in Enfield Wash is a wise decision, because the area is going to continue to develop in the years to come, just like the rest of north London, and will become more and more attractive, thus comfortable and adequate for housing.